If you ask me to bring dessert, it will be Rice Pudding. If you ask me to bring dessert, it will be Rice Pudding, and you better not be dieting. Rice Pudding is the combination of everything I love: BUTTER, WHOLE FAT, CREAMY MILK...EGGS...SUGAH!....VANILLA...and rice. I am not a fan of rice, but since rice pudding would be nill without it, I take it into my heart. So, just make at least 3 extra cups of rice the next time you make dinner. Here is the original recipe I used on allrecipes.com that serves 4. Below is my version, and it really only serves 4 of us, maybe 6 if you don't like big helpings :). 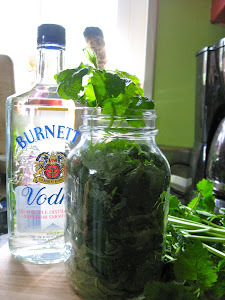 The base recipe is really easy to double, and that is what I do when I take this to parties. In a clean saucepan, combine 3 cups cooked rice, 3 cups milk, sugar and salt. Cook over medium heat until thick and creamy, 15 to 20 minutes. Stir in remaining 1/2 cup milk, beaten egg, and raisins; cook 2 minutes more, stirring constantly. 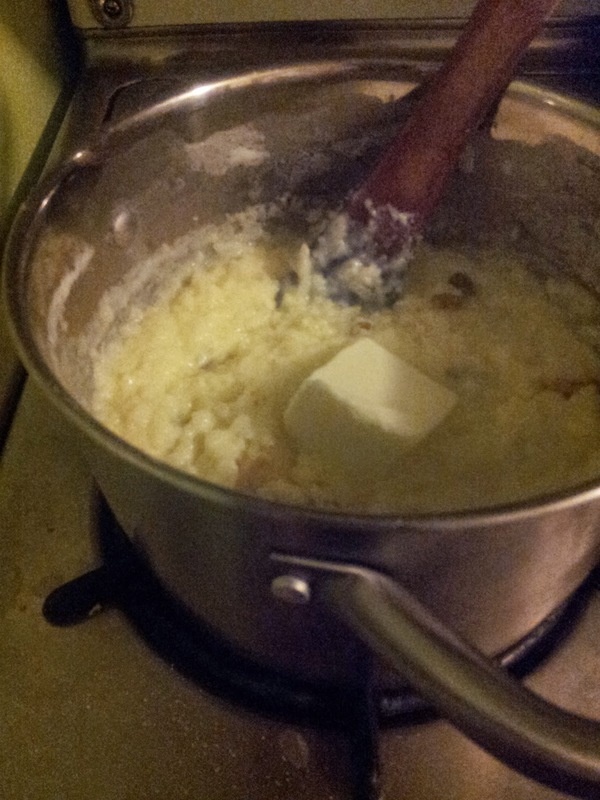 Remove from heat and stir in butter and vanilla. If you can stand it, chill :). Sprinkle with cinnamon or pumpkin pie spice once cool. Voila! Heaven in a pot! 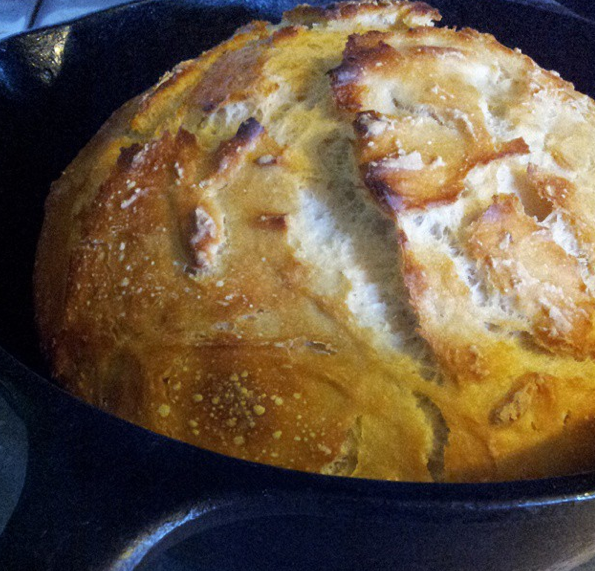 The easiest sourdough bread in the world....really. 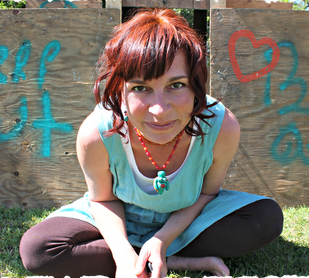 About two or three years ago, I found out that my body does not love bread. I began having all kinds of issues. I was tested, and I am not allergic to gluten, but something was making me ill. I have since figured out that it is wheat that makes me ill. Not all wheat, but that is a whole 'nother post. Today, I want to introduce you my very simple sourdough. 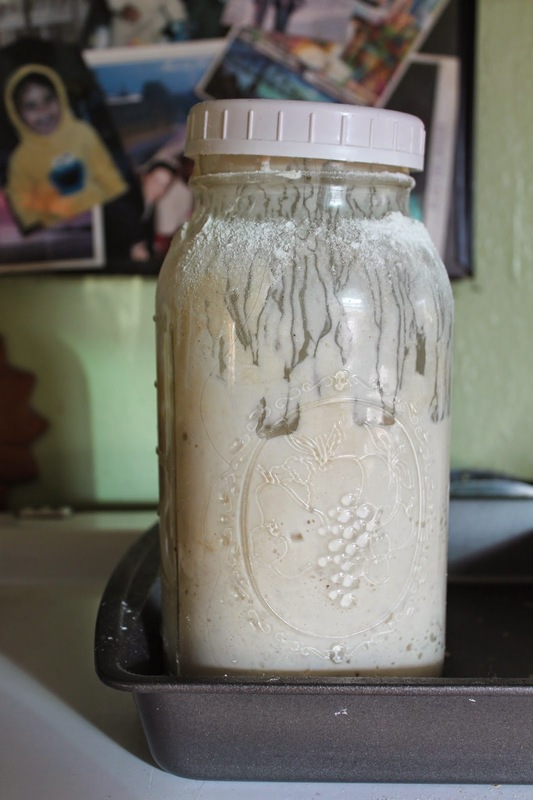 To make a sourdough starter, you need a Mason jar, flour (I prefer organic unbleached wheat. I have tried with alternative flours, and it did not work for me), and filtered water. I use water from my tap, run through a faucet mount filter. It works. Start by taking 1/2 cup flour, and about a 1/3 cup water and mix it on your mason jar. Put a lid on it, but do not screw shut. Now repeat this every 12 hours :)...yes, it is babysitting in the beginning, but it gets easier. After two or three days, you should see bubbles. On day four, take out about 1/2 cup and discard, and add your new flour/water. In 5-7 days, you should be able to smell the "sour" smell. It smells good, like beer, not stinky. The starter should start rising pretty dramatically around day 4-5. You can see I have a pan under my starter...that is because they can explode out of the jar, and often do. Once your starter is ready, it is time to bake! In a glass bowel, mix 4 cups of flour, 1 cup of starter, 1 tblsp of sea salt. Mix with a spoon, just until it is moist. Put an airtight lid on it! Let is stand 8-10 hours, no more. I usually make mine at night and let it stand until morning so we have fresh bread. Preheat your oven to 450. The pot & lid should be in the oven. Once it is hot, take it out, put your dough in, close, and put it right back in the hot oven. My dough is always a bit 'runny', almost like cake dough. I do not fold it, knead it, proof it. Nope. Right in the pot. Let bake 30 minutes. Take off your lid. If your bread is still "white", leave it in the oven 5-10 more minutes to crisp. Every time I use starter, I put back 1 cup of flour and a 1/4 to 1/2 cup of water. You want it to be a bit soft. You should always have at least 1/2 cup left to mingle with your new flour. Sometimes, I feed it every day because I know my friends are coming over for some bread, and it is almost guaranteed that they want to make their own after that ;). BTW...you may have noticed how I said I can't eat wheat :). Well, I can eat my own bread, not as much as I like, but at least 2-3 slices a day and I am fine. I get really good organic flour, and the ferment of the sourdough seems to help too. There you go, there are still miracles! Have fun, let me know how it goes!